June 21, is National Aboriginal Day across Canada, it’s proclaimed annually in the Town of Peace River. 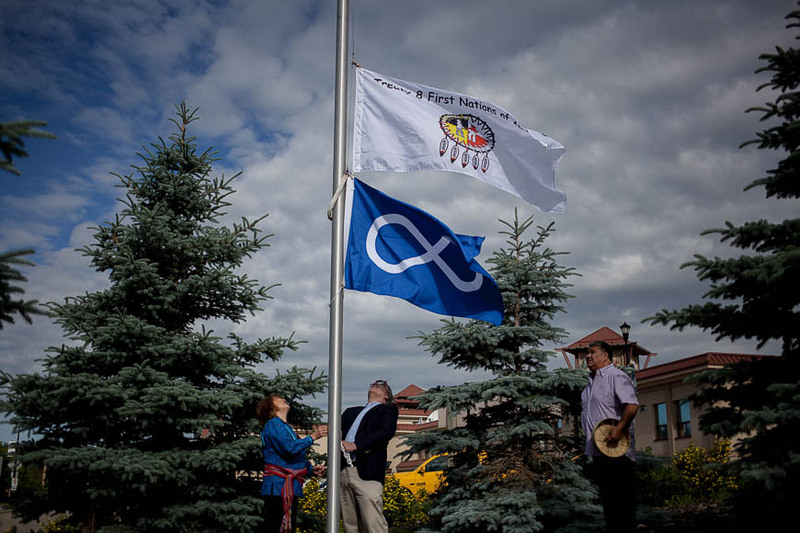 This year for the first time ever, a ceremony was held at the flagpole in the downtown roundabout before the raising of both the Treaty 8 and Métis Nation flags. This small gesture is a symbol of the Town of Peace River’s commitment to working towards reconciliation. While there is no roadmap to reconciliation, the Town believes that by honouring our shared history, the good and the bad, we can collectively build a better a future. The Treaty 8 and Métis flags about to be raised. The DMI Art Gallery at the Peace River Municipal Library will have a display of local Aboriginal and Métis art on display until July 19. The official opening takes place tonight at 6, see below for event details. At the end of the month Cinema Politica will be screening the film “Colonization Road,” at the Peace River Municipal Library. This free movie is a great learning opportunity. In the spirit of reconciliation, we press forward towards a brighter future without forgetting the lessons of the past. 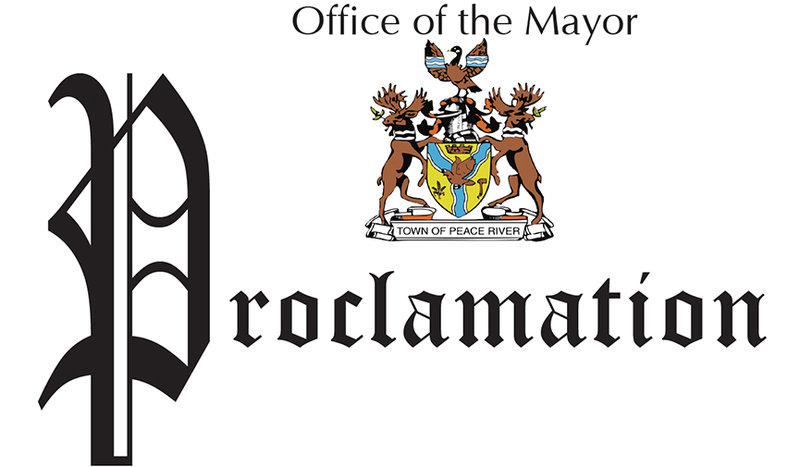 That the Mayor and Council of the Town of Peace River hereby proclaim June 21, 2017, as “National Aboriginal Day,” in the Town of Peace River. Mayor Tom Tarpey signing the proclamation during the Aboriginal Interagency Committee meeting on June 20, 2017, at the Sagitawa Friendship Centre.